Thank you fellow Red Rocker fans! 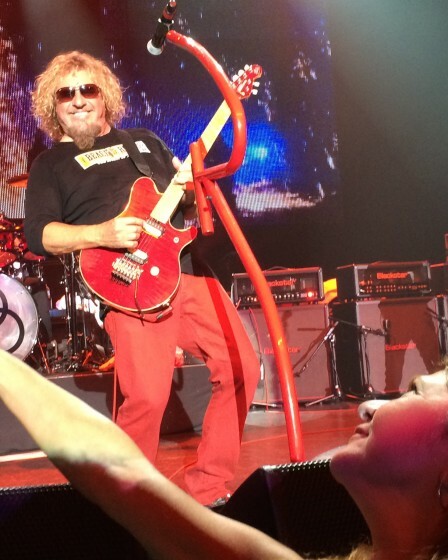 Thank you to my fellow Red Rocker fans for letting me climb over your seats and allowing me to the front row. And a special thanks to the fan next to me for taking these shots!! I have been a Sammy fan for many years and have seen him a couple of times but this was priceless!! I love this man, his music and his heart. Thanks again!